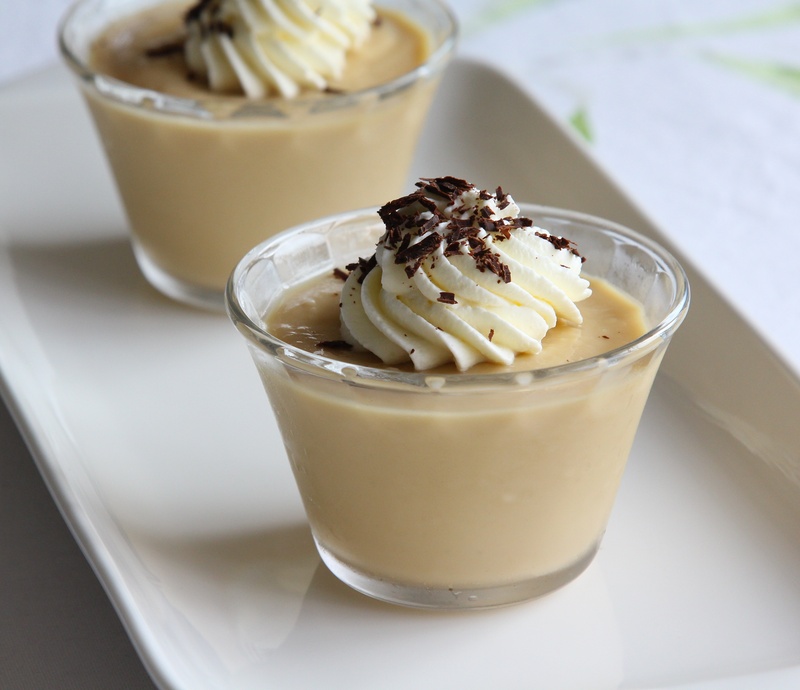 Luscious Butterscoth Pudding...a dessert that adults and children alike will love. Serve with your favorite cookie, and you'll have a hit on your hands. Add a strawberry or raspberry or two on the top for color, or my favorite, some caramelized bananas along with a few dollops of billowy whipping cream, and you have a stunning looking dessert. Strain the custard through a sieve into a pitcher and divide between 6 6- to 8-ounce ramekins or custard cups. Place the filled ramekins in a shallow roasting pan and place the pan on a lower oven shelf. Make a hot water bath by filling the roasting pan with hot (near boiling) water, until it reaches halfway up the sides of the ramekins. Bake the pudding at 325 degrees until just set, about 50 to 55 minutes. Start checking the custards early, they are done when gently shaken, the edges are set and the center is jiggly but not runny. Allow the pudding to cool to room temperature in the water. Refrigerate the pudding for several hours or overnight before serving. The pudding will keep its dark color if refrigerated uncovered. It will taste no different but will look lighter if you cover it, which you should do (after it has cooled completely) if you have any strong flavored foods in your refrigerator. Can be refrigerated for 2 to 3 days. * Note: the alcohol can be omitted if desired..